The Integrative Sports Nutrition and Wellness Specialist Certification provides an integrated approach, proven holistic methods and natural home remedies to treat ailments quickly. Find out how homeopathic products relax a stiff neck, prevent a headache, cure stress or anxiety, soothe a sore throat, curb a cough, quell nausea, reduce a fever, cool a burn, sweeten bad breath, end snoring, beat insomnia, revive tired eyes, relieve menstrual cramps, heal dry skin, rashes, and eczema and other ailments. Learn how therapeutic enzymes improves performance and cellular function, revitalizes the body to maintain balance, restores body energy and gives you the clarity you need to focus on what is important. Learn why digestive enzymes are vital at any age, especially individuals and children with digestive sensitivities and intolerances. The course gives you the ability to apply innovative solutions for your health and the wisdom to share with family and a wide range of clients to create powerful and lasting change. This Specialist Certification is suitable for a wide array of health experts and professionals including certified health and fitness professionals, personal trainers, group fitness instructors, wellness program directors, medical exercise specialists, chiropractors and chiropractic assistants, sports coaches, safety experts, physical education teachers, recreational activity instructors, physical therapists, massage therapists, athletic trainers, registered dietitians, occupational therapists, safety experts, physical education teachers, recreational activity instructors, registered nurses, physicians, osteopaths and other and allied health professionals. This Master Specialist Bundle Program contains 2 different courses. Each time you complete a course you will get up to 30 CECs/CEUs. For most certification companies – each course will fulfill your CEC/CEU requirements. Below are the Specialist Courses in this Bundle. Instant access – start learning right away. Download the materials to the course and view offline – so you are not confined to be online. Note: Continuing Education Credits (CECs/CEUs) will only be applied for certified fitness professionals or other health professionals. You will receive an electronic version of your Certificate, which can be printed for your records and also redeemed for CEUs/CECs. The provider number and number of credits can be found on your Certificate and redeemed on the provider’s website.Each time you complete a Course (2 in this Bundle) you will get up to 30 CECs/CEUs. For most certification companies – each Course will fulfill your CEC/CEU requirements. → Enzyme and Homeopathy Certificates – these are downloadable CEC/CEU Certificates – included with the price of the Course. Each time you pass a final exam you will receive a Certificate with up to 30 CECs/CEUs. What does it take to be Master? 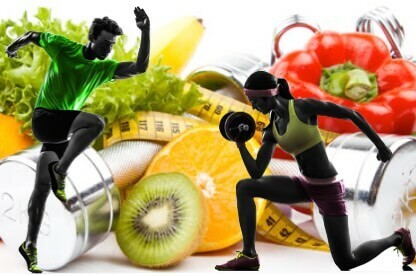 To become a Master Integrative Sports Nutrition and Wellness Specialist you will need to complete the two Courses and pass two 60-question exams. Each time you pass a final exam you will receive a Certificate with up to 25 CECs/CEUs. This will be available for you to download. The courses are individually accredited and exact CEUs/CECs will vary for each certification organization. Check each course for specific CEU/CEC for your certification organization. While anyone over the age of 18 years old can complete the educational content included in the GMP Fitness Courses we do recommend a few of things for the Master Specialist Courses. As part of the GMP Fitness commitment to customer service, you’ll receive unsurpassed, exceptional customer support. Have a question after you purchase the course—contact us at info@gmpfitness.com or call 1-888-467-3488. Gaining the knowledge to heal oneself with natural remedies with no side effects is invaluable. Before this course, I had very little knowledge of homeopathy. Homeopathy is something every fitness professional should have knowledge of. I will be managing my family members and myself with some of the homeopathic remedies I learned. I will be adding homeopathic remedies to my first aid kit and gym bag. At the first sign of my next cold, I will determine the right remedy to try. I am grateful for the course materials that have a wealth of information and will be my point of reference. I am sure that those around me will be influenced by my newfound knowledge. While it is outside of the scope of a personal trainer to prescribe homeopathic remedies, having the knowledge to heal oneself without prescription drugs, but with fast acting natural remedies that have no side effects is powerful. As fitness professionals, we lead by example. If we have an injury, a sore throat, a cold, sunburn, terrible allergies etc. and treat the ailments with a homeopathic remedy, we can share our success with clients, family and friends. It seems today that most people take several prescription drugs; most have serious side effects. With the knowledge gained from this course, not only do we can we keep ourselves healthier, eliminating many sick days that will allow us to be more productive, but we can set a wonderful example using homeopathic remedies. Fitness professionals should be on the cutting edge of all things related to health. People today are living longer and want to be healthier and more active than past generations. I believe having knowledge of homeopathy will enable us to be an inspiration to those whose life we touch. With just a suggestion from us to at least explore a homeopathic remedy before taking a prescription drug, people will begin to learn that the human body has the amazing ability to heal itself naturally. I will apply the Homeopathy & Sports Wellness Specialist content of this course be encouraging clients, friends and family members to explore natural remedies for their ailments. I fully understand it is outside the scope of my practice as a personal trainer to prescribe anything. I will approach this the same way I do with clients who are overweight. I encourage them to see a nutritionist. I have found that many of the health stores have the homeopathic remedies. I would encourage clients and friends to do their own research and try the natural remedies. The doctor is only a phone call away if the remedy doesn?t work. Most important, I will lead by example and share my personal successes with these natural remedies. I took the GMP Fitness Longevity Wellness Specialist Course because I wanted to maintain good health and fitness as I age. Homeopathy & Sports Wellness Specialist ties in with the Longevity Wellness Specialist because having the knowledge of these homeopathic remedies will improve the quality of my health. The materials were easy to follow. There is a lot of information and a I loved learning about these alternative natural remedies that have proven success and have been around a lot longer than prescription drugs. I know if I have questions, I can get expert help as there are doctors who specialize in homeopathy and health stores that carry the remedies. I also will have the course materials to refer to. This is my second GMP Fitness course. Both courses have very useful information that can change your life if you use the knowledge. Informative course. I have studied enzymes before taking this course and was concerned that I would be covering what I already knew, but I was pleasantly surprised at how much more material was covered. It was organized and presented well. I thoroughly enjoyed the Enzymes and Sports Nutrition Specialist course. I gained a great depth of knowledge of the vast arrays of enzymes our bodies need to function, maintain health and wellness and fight illness/disease. I work with clients developing programs that include physical fitness and nutrition. I will strongly educate and recommend my clients add enzyme supplements to their daily vitamin regimen. I feel this course should be accredited because it is valuable information to clients who want to improve their body?s health. Integrative nutrition is a vital part of good. This course provided valuable information for individuals who want to improve their body?s health. I think every client should have the knowledge of enzyme therapy and then they can apply this to their lifestyle. It taught me a lot and I think it is very beneficial for good health. Absolutely recommend! The entire experience of learning and corresponding with Gina has been enlightening and enjoyable. I thought I knew about enzymes before taking this course. I was absolutely blown away by the wealth of information provided within this training. The information was in depth and very complete along with convincing. I am now taking enzymes and educating others on the role they play in the systems of the body. The guidance provided within this course was life changing as my digestive health has already significantly improved. Throughout the learning process I was corresponding with Gina about questions and comments. She was always prompt with responses, enthusiastic and willing to share insights and answer inquiries. I have learned about the many different enzymes and there role. I also am better equipped for grocery shopping. I now am aware of foods with highest enzyme count. The research within the course leaves little room for debate. One's health is definitely influenced by the production and ingestion of enzymes. This information is empowering and I look forward to being more conscientious about my raw food intake. The Activity Labs were SO VERY VERY HELPFUL!! I intend to review the content more and pull together the most influential parts. My plan is to share the highlights and encourage others to become educated on food, metabolic and digestive enzymes and how they relate to well being and longevity. Already, I have been discussing these studies with patients and clients. My dietary intake has improved as a result of the information within this course. I feel empowered and inspired. Certification companies should recognize this course for all health and fitness professionals. The course is an excellent course that provides great knowledge to a personal trainer. I thought I had an idea of what enzymes were. When growing up, my mother used to chop some vegetables, soak in some kind of liquid and extract the sweet water from the vegetables and called them enzymes, she used to take a spoon of the enzymes everyday and tell us how wonderful those enzymes were. After taking this course, my entire knowledge of enzymes changed. Enzymes are sparks of life! They are responsible for constructing, synthesizing, carrying, dispensing, delivering, and eliminating ingredients and chemicals that our body uses each day, and the body makes these enzymes. There are different types of enzymes, and the best part is that you can supplement your enzymes if it gets low. I gained an enormous knowledge about enzymes and the relation between them and us. As a personal trainer, I gained a better understanding on how to set realistic goals for my clients. Enzymes are directly related to their current health status. I can somewhat help them to achieve some of these goals (not as a medical professional, as I know that it is outside of my scope of practice to prescribe any medicines or dietary supplements), but by guiding them thru a healthier nutrition and fitness habits. As always the author makes it so easy to follow and to understand. The material is extremely interesting. The layout along the illustrations makes it fun to read. The CDs are great reference. Personal trainers that did not come from a medical field can benefit from this great resource. Most personal trainers would not think of taking an Enzyme course, due to the limited medical knowledge. As a personal trainer, I was surprised to learn that the enzymes are one of the most essential elements in our body. That enzymes are required for our body to function properly. Every personal trainer and/or professional in the area of health and fitness should have the opportunity to take this course and be able to receive credits toward the renewal of their licenses. Highly recommend! I am so thankful to have been able to take this course. The material was very easy to follow. It explained everything in a simple, easy to understand format and I know that it will be a great resource for me in the future. I am looking forward to taking more GMP Fitness courses in the future. I absolutely LOVED the course!! I am so excited about homeopathy now and can?t wait to share with others! I am so thankful to have been able to take this course. The material was very easy to follow. It explained everything in a simple, easy to understand format and I know that it will be a great resource for me in the future. I do know that it is outside of my scope of practice to prescribe any medicines, but I will be sharing my experiences with co workers, friends, family and members of my fitness facility. I will share with them all I have come to learn about healing oneself naturally and the many benefits that comes with that in hopes that they will seek to heal naturally themselves. Being new to homeopathic treatments, I have a great resource to look back to refresh what I have learned and will continue to seek new and current information regarding the integrative nutrition information so that I can always be a voice to others who are interested in learning about natural healing. I am looking forward to taking more GMP Fitness courses in the future. I found this course to be extremely beneficial and complimentary to my line of work. As a fitness professional, I need to be armed with a vast knowledge base to recommend to my clients who may desire a more natural approach to well being. It is my experience that too many of us are currently taking prescription drugs with serious side effects and to pursue a more natural approach to health and well being only makes sense. As a fitness professional, I need to lead by example. I gained a wealth of knowledge in this course about homeopathic remedies, and already have implemented several of them in my regime, with positive results. Five stars all the way!!! GMP Fitness courses are far superior to other courses I have taken ... the absolute best in my book! I always walk away from each course with a wealth of practical knowledge that I feel is very applicable to my personal training business. The Enzyme Nutrition for Wellness course did not disappoint! I find the material challenging yet easy to follow and the study materials are exceptional, easy to follow and appealing in every way. I continue to look forward to taking more courses from GMP Fitness, as the wealth of knowledge I have gained is excellent! As a personal trainer, I am not only interested in exercise physiology, but also nutrition and its role for optimal wellness. Even though I am not able to prescribe specific dietary guidelines, I find it helpful to offer suggestions to my clients, especially with things I have personally tried and have been very successful. Since taking this course I am much more aware of the role of enzymes and their role within the vital functions of the body. I have added supplemental enzymes into my daily routine and I am already seeing great, positive results! And I?ve already implemented several of the homeopathic solutions into my everyday routine (Arnica as well as Rhus toxicodendron) and have experienced spectacular results! This was a very educational course. Thank you for another excellent course!